No better place to start 2011 for us than in tierra Azteca–México. Last week I shared a post from our first weekend in México City and promised to share more, but fell short on that promise because my daughter got a severe cold and double ear infection and I got hit with the flu. We had to take it easy for days and missed out on many of the sights we were looking forward to having Camila experience: el Zócalo with the lavish holiday lights display, the markets, and the children´s museum. Instead, we decided to leave Mexico City sooner than planned and head over to my in-laws´ home in the quaint lake town of Valle de Bravo, just a 2-hour drive from the City, but a whole other world of fresh air, silence and green mountains. Valle de Bravo is one of the main places we expect to fill Camila´s memories growing up and to fuel her passion for Spanish-language. This is where we want to spend at least a couple of weeks every year with her cousins, tíos and Oma and Opa (my father in law is Dutch, so they go by the Dutch words for abuela y abuelo.) This is the México many dream of retiring in, and my in-laws did it! We´ll take advantage of that and surround our girl with the beauty of the natural scenery and traditional vibe of this town. 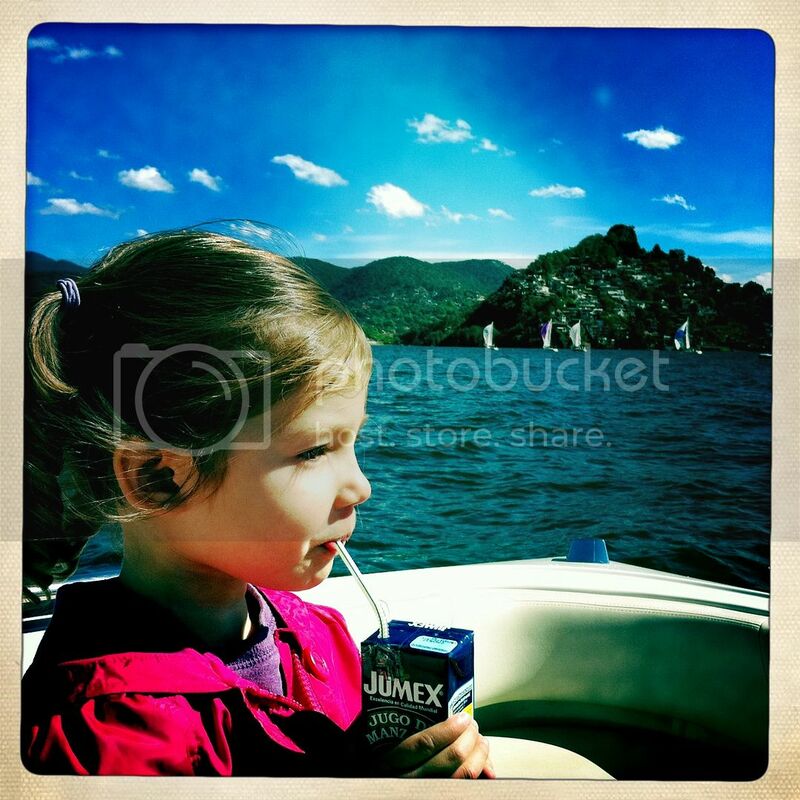 Finally on the boat, she takes in the scenery and a sip of her favorite jugo de manzana. The one most annoying thing about a child being sick in México is that the pediatric medicines the doctor prescribed taste awful. So, we had to resort to bribery to get her to take them. 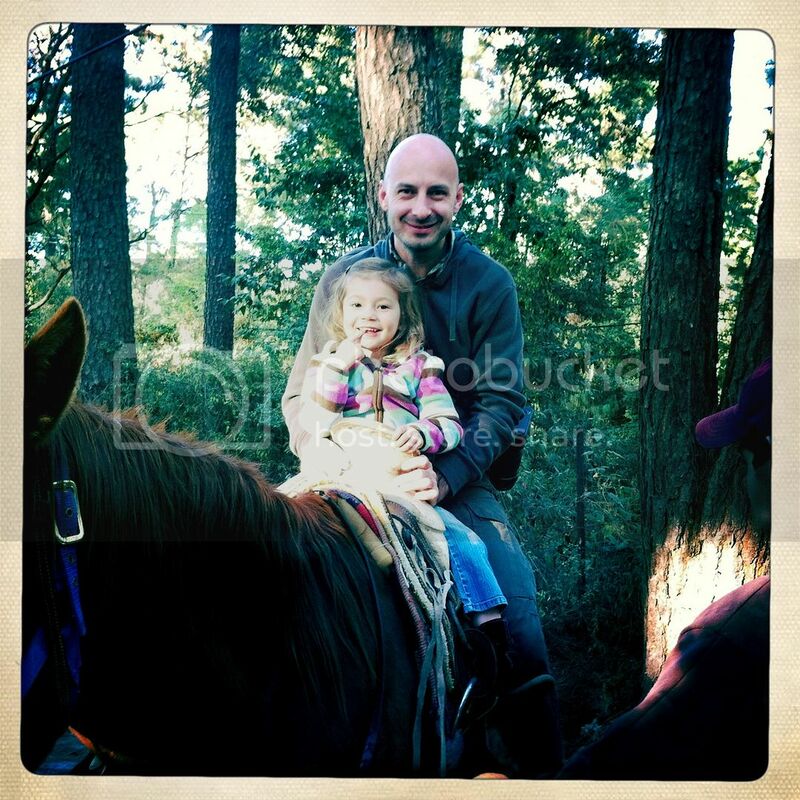 The biggest bribe, and the one thing she was looking forward to the most during this whole vacation, was a horseback ride with Papá, Opa and Mamá through the Valle de Bravo forest. This picture is right before we took off on the hour-long ride. She was ecstatic. 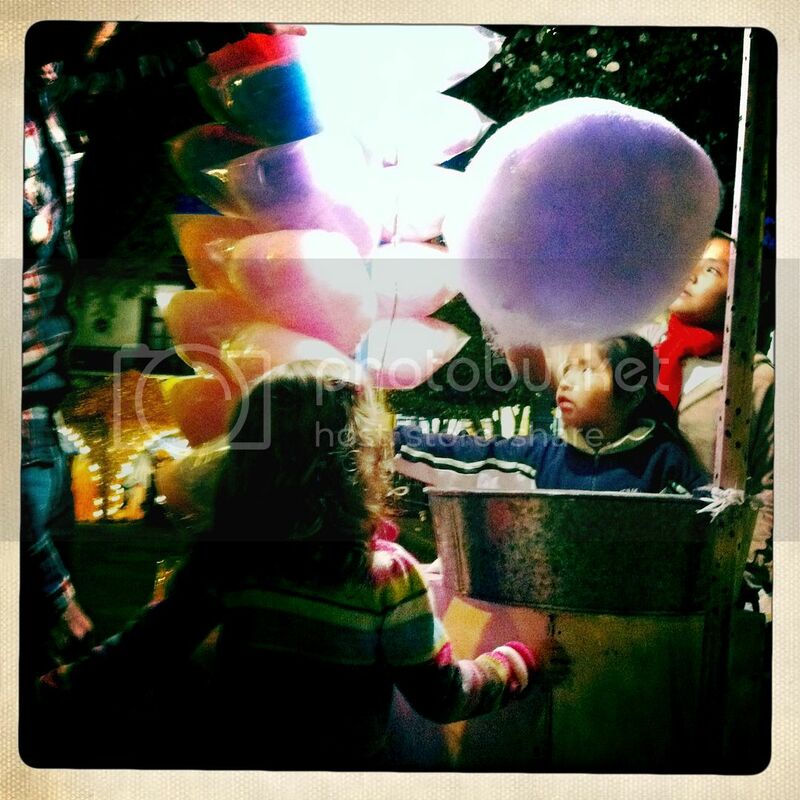 On New Year´s Eve we headed down to Valle de Bravo´s main plaza to play around, trinket-shop and eat golosinas. 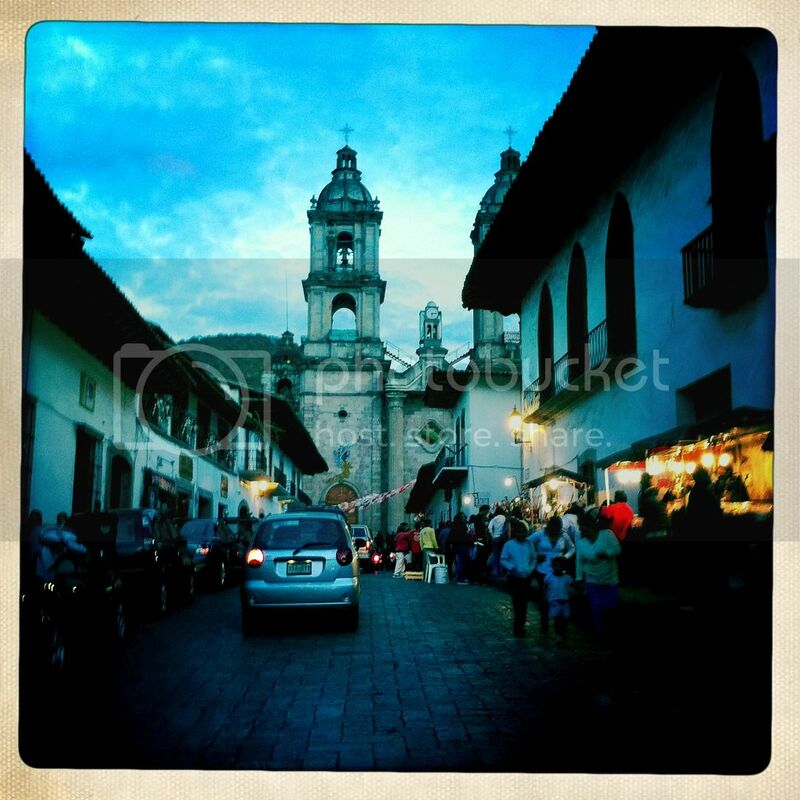 The town is very picturesque with cobblestone roads, traditional colonial houses and plazas. Close up view of the main iglesia. 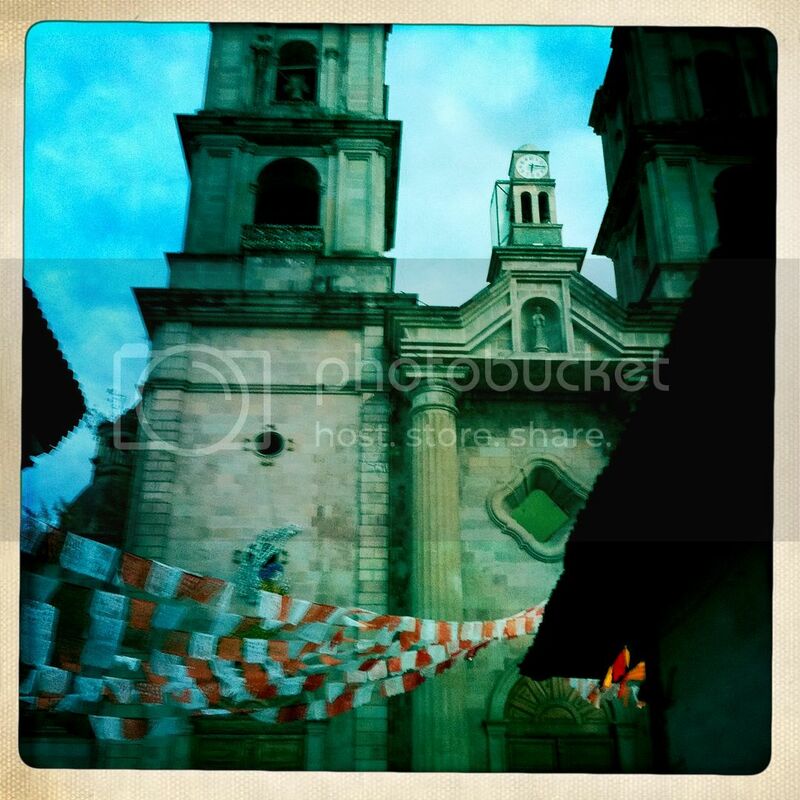 Streams of colorful papel picado adorn many of the town´s streets. 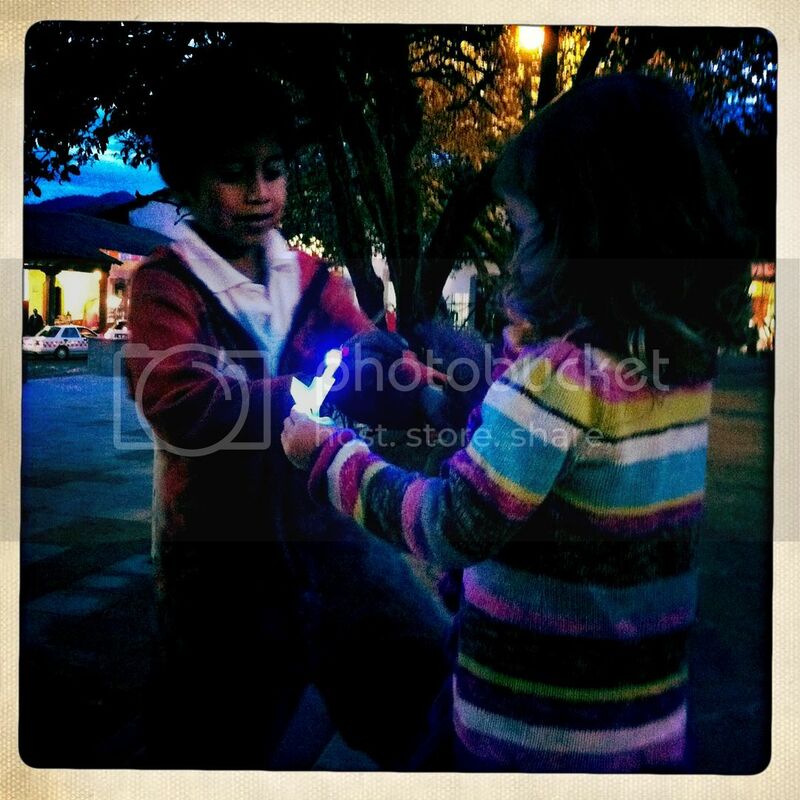 One of my favorite moments–as soon as we stepped onto the festive Plaza we were greeted by little Nicolás who was selling little lit-up planes you shoot out with a rubber band. I immediately fell for his sweetness and Camila fell for the planes. Nicolás sealed the deal when he said: “Tengo uno rosita.” Pink being my girl’s favorite color, of course. Then, he stayed and gently taught her how to make the plane fly up in the air. It was very special. Who can say no to a little girl who really, really wants a pink algodón (cotton candy) from a street vendor on the Plaza? She decided it was big enough to share with her Oma, making both really happy! Daughter digging into a pink algodón and mamá into a delicious ezquite. Cravings happily fulfilled. We head back home in a couple of days and are taking with us irreplaceable memories. I can honestly say my girl’s Spanish is much stronger and undoubtedly her language of preference at the moment. This brings up other issues since she’ll be starting an all-English Montessori pre-school next week. I’ll blog about that soon. 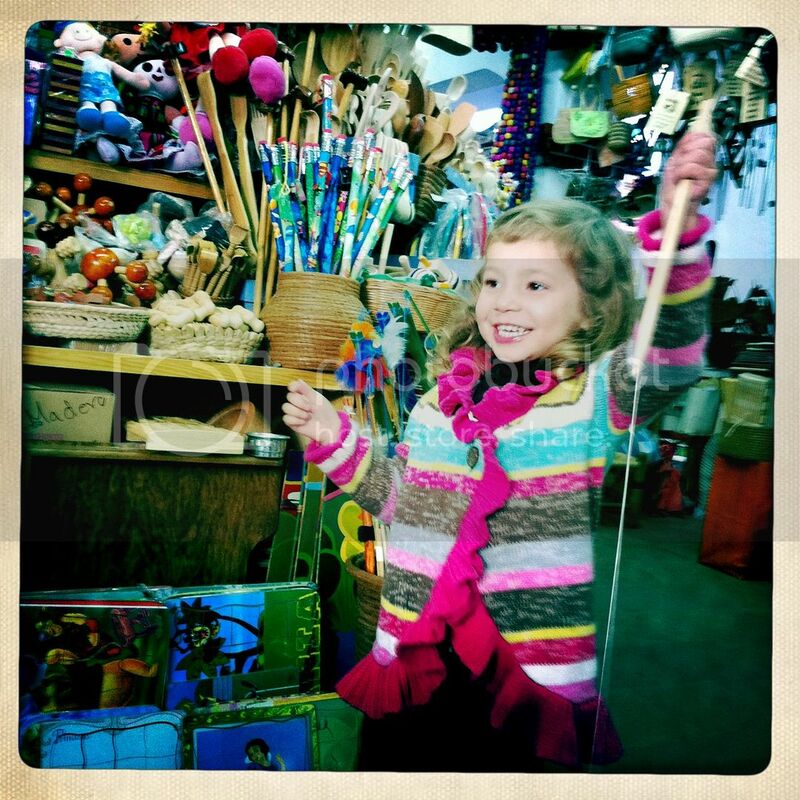 Aside from her Spanish, this trip cemented the bond with her Oma and Opa whom she last saw 6 months ago in Los Angeles. As a family of three living in a large city, we need to try extra-hard for her to really know what the lovingly family chaos is all about. She’s also experimented with new foods, treats and unfamiliar sights. This trips has left it really clear to us that travel is a must, and we will make any sacrifice necessary to make it happen as part of our bicultural journey. Thanks for reading this series of personal posts. Please let us know if you enjoy the personal posts and pictures from us because Roxana and I are considering doing much more of these this year. What a beautiful post and photographs to go with it! I am so happy for Camila and I can’t wait to do the same with my children this winter when we go to Peru. In the end, I think this is what it’s all about: teaching our children about our culture, showing them how proud we are of where we came from and allowing them to experience a little bit of the lives we had growing up in Latin America. Beautiful post, very well descripted and colorful pictures, que malo about the double ear infection and flu. My mom is dutch chinese and she likes to be call oma too. We haven’t travel to Latinoamerica with my kids yet. I should start soon since Chris really like to speak spanish. Me too! loved the pictures, and reading about the travel. What a pretty little pueblo your in-laws live in! love the personal stories! my favorite part of this site. Ana Lilian, I absolutely loved this post! 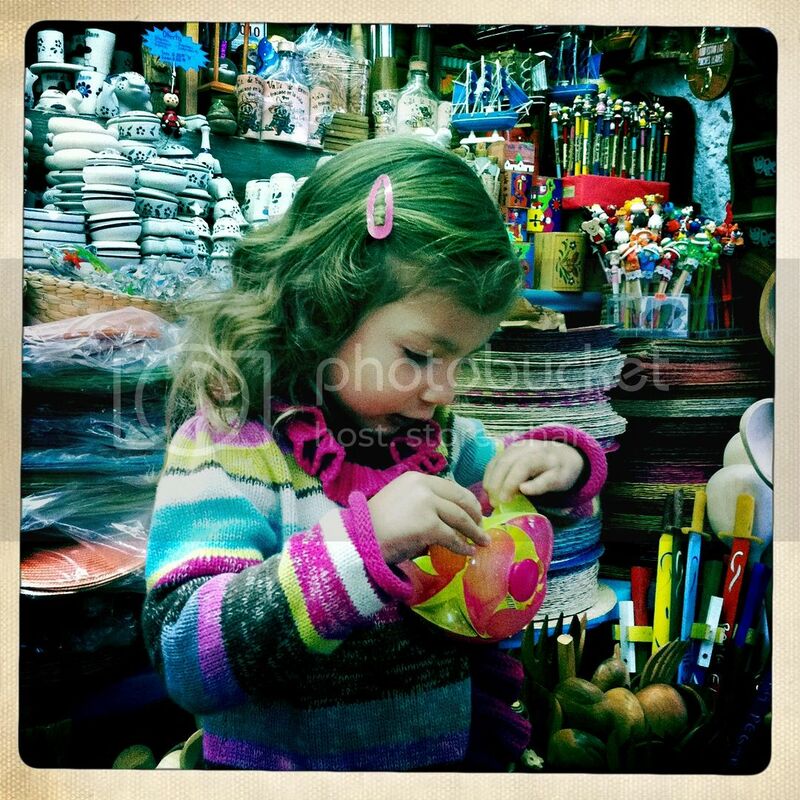 Your pictures are just beautiful, and I think that these little things are what being bilingual and bicultural are all about–the Jumex, the algodon Camila is so obviously enjoying (I can never say no to juice and other treats when we’re on vacation). Thanks for sharing, and I’m glad you had a great time! And so sorry about the flu and the double ear infection, I can relate. I loved the pics, too Ana! This summer we are taking Sabrina to Quito, Ecuador. You just offered a glimpse as to what our trip may be like…Im so excited. Thank you for sharing. First of all: Are you kidding with the question? LOVE this post and these types of posts, please do more!! Ok, after I got that out…. Thanks so much for sharing all this, I love your pictures and the way you describe everything. It really seems very very special for Cami and of course for you guys too. I think that absorbing familia and cultura that way is THE BEST and there is no other way it can be done so well! Have a safe trip back amiga! Love this post and the photos. Wishing very much that I could trade places with Camila right now. What I wouldn’t give to be a little girl with parents who take her on such amazing adventures. 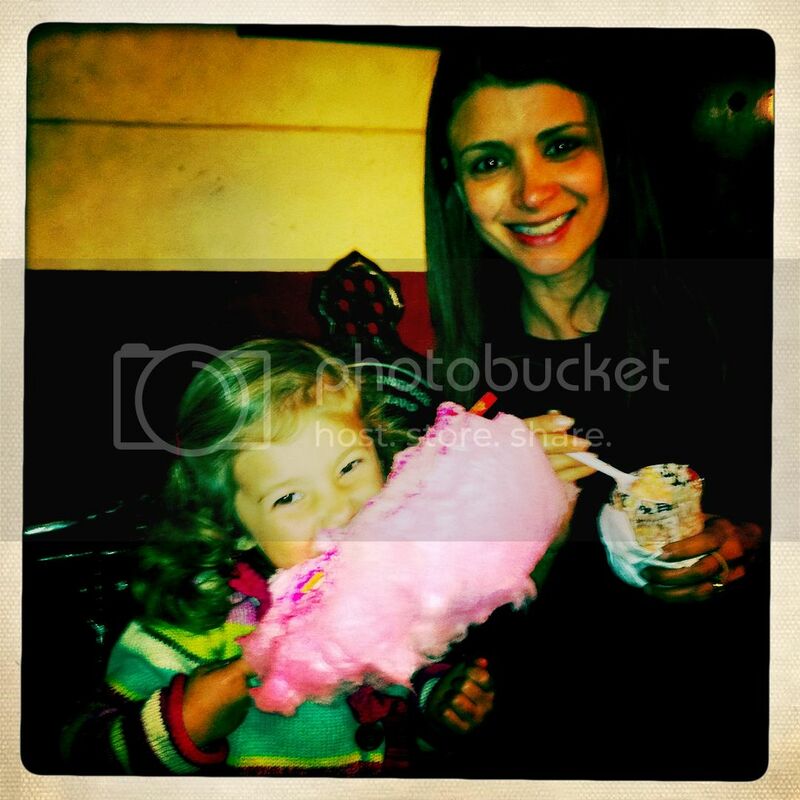 México, loving familia, caballos & pink cotton candy. What more could a girl want? Fotografias muy bonitas. Estoy seguro que tu hija siempre recordara esos momentos.